Well, this post created so many comments, it shut down my site so I’m pulling it for now until I can get things straightened out. Well, I find it interesting that one of the points mentioned in a recent online article (I quoted in this post that I have pulled) against religion specifically and Christianity in general was the suppression of independent thinking. In other words, if you follow a particular religion, you are forced to think a certain way and any dissent is punished and quashed. But, it seems that any independent thinking is inappropriate if it goes against the majority opinion. Interesting that my post focused on the “church’s” failure to truly represent the teachings of Christ in this new century and I was attacked for thinking outside the box not by fellow Christians but by others! I guess in today’s American culture, you can only express an opinion if it matches the majority party line. Talk about a lack of tolerance! Who is intolerant? I know that Christians are accused most of the time of being intolerant, judgmental, arrogant, and just plain mean but really! It seems that intolerance really means that if you express any opinion different from MINE then your are wrong! And, you are intolerant! But, who is being intolerant here? Tolerance means being respectful of anyone who disagrees with you and giving equal respect to that person even if you disagree with them. But, our current culture uses “intolerance” to punish anyone who thinks differently from the party line, the status quo, the majority opinion even to the point of people losing jobs, undergoing “re-education”, etc. I’m sorry but these actions sound an awful lot like the very thing Christians are being accused of doing through the centuries. So, we are no different today than then regardless of our worldview. My point I tried to make in today’s post was that man is the real culprit in all of this. We will use any system, any belief, any rationalization to justify our opinion and respect and tolerance be damned. And we do it in the name of tolerance! Let’s face it. We are a mean, angry, dysfunctional society and the sooner we learn mutual respect, including anyone who demonstrates “independent thinking” or thinking contrary to the popular majority opinion the sooner we can move forward as a healthy society and not one bent on self destruction. And this applies to my fellow Christ followers as well as to the “nones”. For the Christians, go read 1 Peter 3 and focus on that admonition to “do so with gentleness and respect”. Remember, we are to love one another as Christ loved us. I don’t see a whole lot of love coming from us most of the time. I see a lot of hate and condemnation and this is the face of Christianity today’s culture sees and focuses on. So, I will not be reposting my original post. If I do, I fear I may be censored, vilified, fired from my job, arrested for hate crime, or who knows what. If anyone out there really respects “independent thinking” then why not engage in civil discourse over these issues? We have enough hatred in our world as it is. Why can’t we just get along and agree to disagree on these issues? Frankly, I was expecting a lot more pushback from my fellow church goers since I agreed with most of the criticism of the modern “church” in the article I had quoted in today’s post. But, I guess you will never know what I had to say. I’ve been told to shut up and go away and hide in a corner and keep my beliefs in private where they belong! So, for now, I will. But, I will not stay silent forever! I was interviewed on Nightwatch Radio Tuesday evening. Todd and Hugh and Johnny and I had a great time talking about monsters and movies and comic books. Eventually, the subject of religion came up. 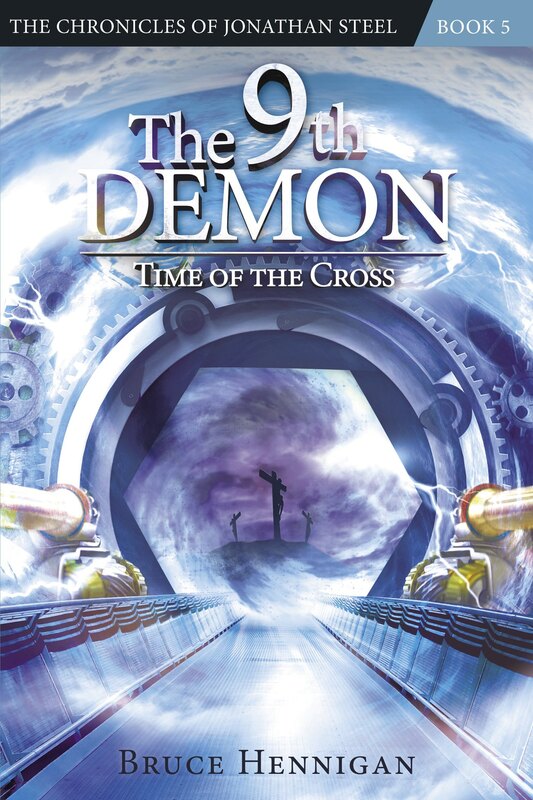 After all, I am a Christian and my Christian fiction book, “The 12th Demon” was the subject of the interview. I found it interesting to hear the usual attitudes towards average “Christians” from Todd. And, I can’t blame him! That reputation is well earned. Todd was very gracious in his comments and I had to agree with him. As a Southern Baptist, I can talk about Southern Baptists. But, my comments on today’s blog go beyond my denomination to all denominations of the Christian church. Although I would certainly say that the above statement would be consistent with a hypocrite, hypocrisy is NOT CONFINED to religion. In fact, I would claim that every single human being on the face of the planet is a hypocrite. We all espouse a high system of behavior or beliefs but we routinely violate those principles with our actions. A simple example would be the claim that I do not lie. Yet, when my wife asks me “Does this dress make me look fat?” I wisely choose to be a hypocrite rather than to become a fool! What did Jesus have to say about this? Or did he even address it? After all, he was a religious person. And, in the minds of most people if you are religious then by default you are a hypocrite. Was Jesus a hypocrite? Let’s see what Jesus had to say as recorded by his disciple Matthew. On and on, Jesus used the word, hypocrite. And, here is what is interesting. Jesus was speaking to the religious leaders of the day! He was calling them hypocrites because their behavior and their religious claims were totally at odds. In fact, it was because of these kind of statements that angered the religious leaders that contributed to his death. First, we crave recognition for actions that should best be kept to ourselves. When we pray, it should not be for recognition but a private affair between us and God. When we give to those in need, it should not be for recognition but because it is the right thing to do. Second, we want to tell someone what they “should” do but we fail to stop and look at our own behavior first. What set of circumstances gives us the right to tell others what they should be doing? Frankly, we should practice what we preach! Third, we set up rules and regulations, just as the Pharisees did, and then follow them to the letter disregarding the necessity for us to ALSO show mercy and forgiveness. Rules are important but never more important than the needs of the one person they are going to hurt or destroy. Fourth, on the outside, we often appear perfect, polished, poised, collected, in control but more often than not inside we are dying. We are often the walking dead; filled with regret, shame, doubt, fear, suppressed anger, and the like. This one category alone describes almost all of us and we are all hypocrites in this respect. What if we lived in a world where we were honest about our faults and our doubts and our shortcomings? What if we lived in a world where we truly had to rely on each other to get through the day? What if we lived in the kind of world that Jesus longed for us to have — a world of mutual respect, kindness, mercy, openness, giving, and compassion? Fifth, you don’t have to be a Christian to appreciate these realities. In fact, when we call other people hypocrites, we are ourselves becoming a hypocrite, setting ourselves up as morally superior when in fact, through our judgmental, arrogant attitudes we have just become a hypocrite! This Christmas season, let’s listen to the teachings of Christ. Let’s look at each other through his eyes and see the person within that may be hurting or in need of just a little love and compassion. That could be the greatest gift we could give to someone this holiday season!